Pancha Pokhari is located in the Sindhupalchowk district of Nepal and is named after five holy ponds. It is a religiously sacred place for the Hindus and is a pilgrimage destination for the Hindus and the Buddhists. The place is marked by picturesque beauty, cultural heritage and vast biodiversity. This is a newly introduced non tourist trekking place in Nepal and provides an arresting view of the snow-capped Himalayas. The most outstanding point of this destination is the historical places, caves and naturally beautiful lake. There is a chance of encountering Himalayan deer, white monkey and other wild species. 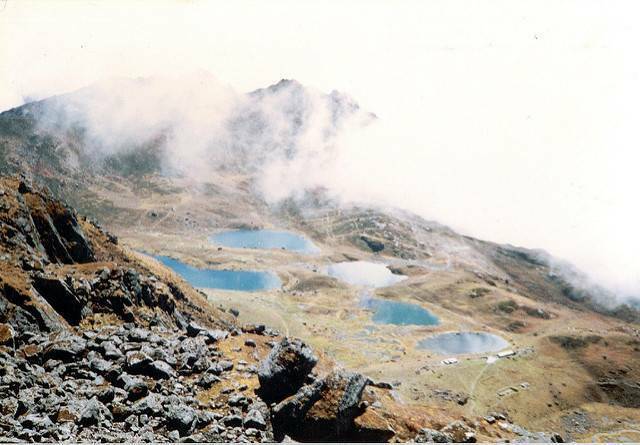 Pancha Pokhari is a major feature of Langtang National Park, located in central Himalayan region. It is situated at a height of about 4100 m above sea level. In spite of its proximity to Kathmandu, this is a remote and unfrequented region. There is plentiful vegetation in this region and mammals like Langur monkey, Assamese monkey, Picas, etc. can be frequently spotted. A visit to Pancha Pokhari is an ideal and interesting journey which gives the experience of a lifetime.